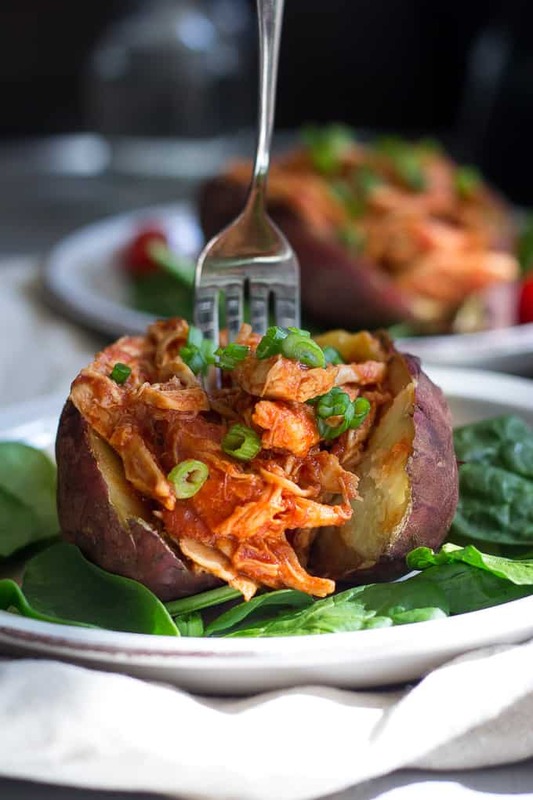 A super easy Smoky Paleo Slow Cooker BBQ Chicken that’s great for kids and perfect for busy weeknights! 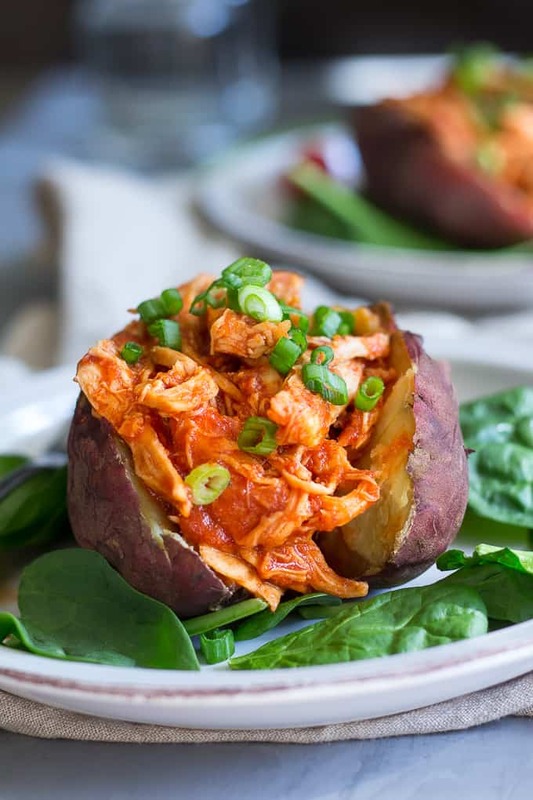 I love this chicken over a baked sweet potato but you can serve it with anything you like! Refined sugar free, soy free, Paleo. Whoosh! Halloween is checked off my list. Is that absolutely terrible? With 3 kids Halloween is a big thing here, and frankly, the whole thing makes me nervous, and ultimately, exhausted! As long as they have fun – that is my motto. I’m happy to report that all the kids had a good time and all went “as planned”, and I’m now I’m stepping into November with new things to look forward to – end of fall/winter/holidays, and all that jazz. Every single year the rush of Nov/Dec drives me a little nuts. But then again, I think I say that about September/October too, so it’s quite possible that I’m just nuts for a good chunk of the year, and I simply need to accept it. That’s probably it. Anyway, when I feel overwhelmed, the “little” things start to overwhelm me more – like – you guessed it – making food for everyone. Breakfast, lunch, dinner. I’m definitely being repetitive, but dinner is always a challenge on weekdays. 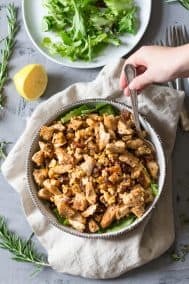 Did you catch my roundup of easy weeknight dinner recipes? That was just as much for me as for you guys! 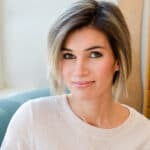 You might remember that a few weeks ago, I was cooking chicken in my slow cooker while writing this Thinking Out Loud post. While I didn’t write down the recipe that day, it was definitely one worth repeating since everyone ate it! The funny part? No one in my family knew this was chicken – everyone assumed it was pulled pork. I guess I was in such a rush that I failed to be specific about what we were eating. Should I even be telling you this? 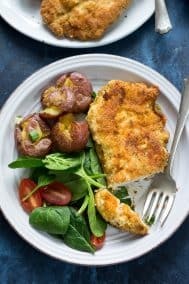 Don’t worry, everyone liked it regardless of what the actual meat was – which is why I made it again – and you can totally make this with a pork loin if that’s more your thing and I bet it would be yum-tastic. 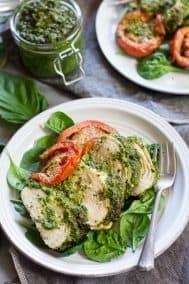 The best part about this chicken, besides that it gets eaten, is that the prep is literally 5 minutes. Put the chicken in the slow cooker, whisk the sauce ingredients in a bowl, pour sauce over chicken, cover, cook. 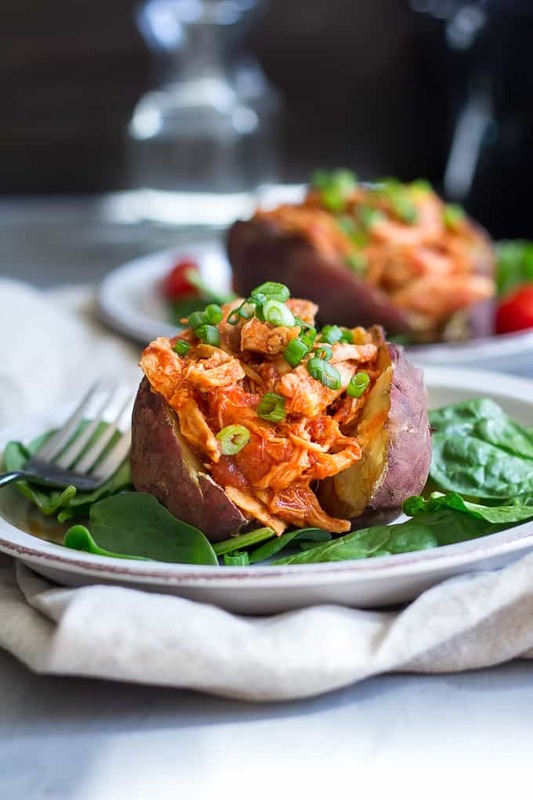 The flavor is smoky, with the right amount of sweetness, but not too spicy – unless you increase the chipotle powder – which you can certainly do if your family likes things spicier. I have a slow cooker that’s programmable so you can be away from home and not worry about overcooking, which definitely makes life easier. I cooked my chicken on low for almost 5 hours and it was perfect, I wouldn’t recommend cooking on high the entire time since the sauce might begin to burn in spots, but you can cook half on high and half low if you’re short on time. It’s happened to me, just saying. Let’s cook! 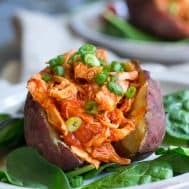 Super easy smoky Paleo slow cook BBQ chicken that's great for busy families, kid friendly and healthy! 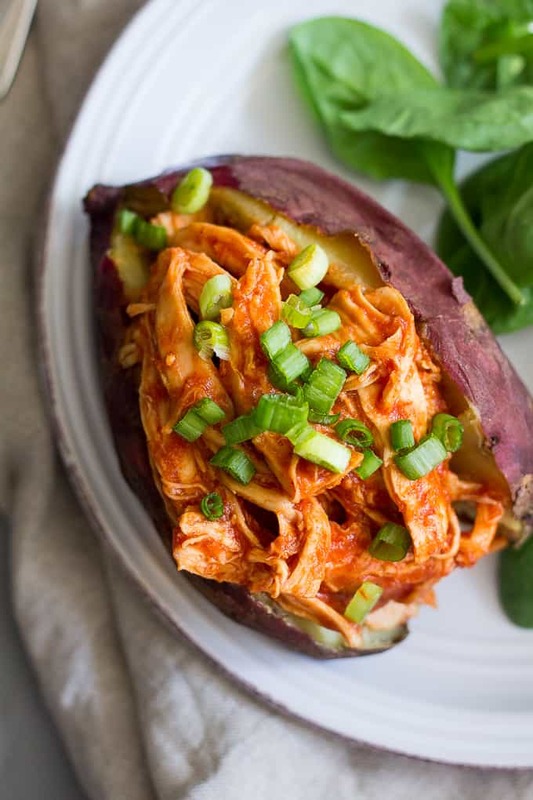 Serve over a baked sweet potato or veggies for an easy weeknight dinner. The prep is just 5 minutes! 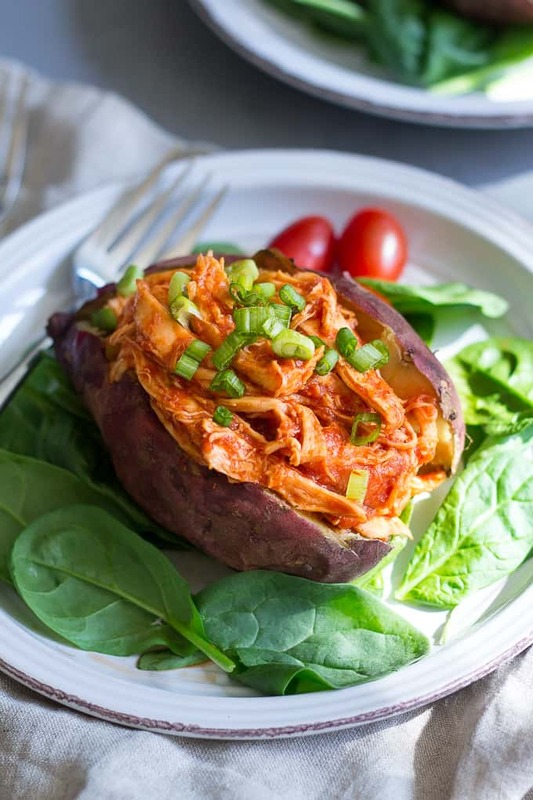 Want more easy Paleo chicken recipes? Try one of these! Are you feeling the busyness of November already? 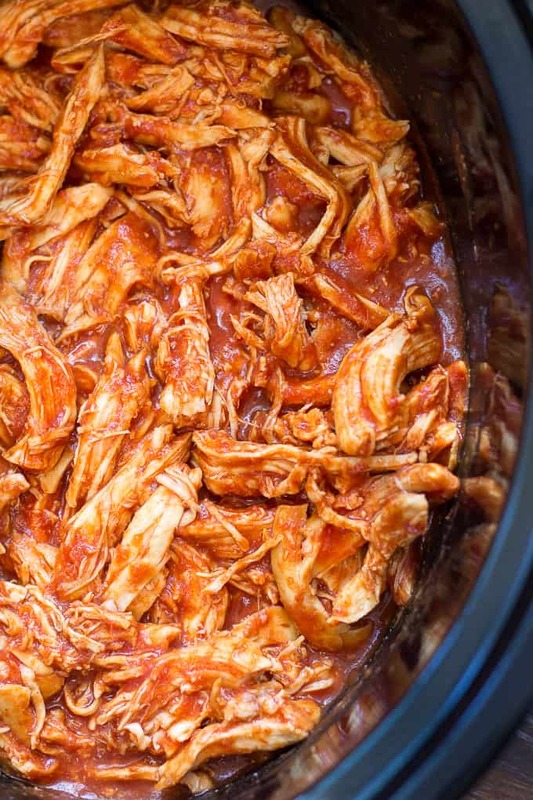 How often does your slow cooker get used? I need a new slow cooker- definitely one that is programmable! I can’t use the one I have during the day because we are gone for 10-11 hours. November actually feels calmer than other months this year- but that may not last long once we start getting closer to the holidays! The programmable part is pretty awesome! I think thanksgiving makes nov feel busy since there’s school events and things like that, and then the holidays are right around the corner. Hi Lisa my name is Donna and I have the perfect pot for you. Little pricey but it does the job. The brand is salad master and they have an electric pot that you can use as a slow cooker a rice cooker a roaster and it works wonderful you set it, it cooks your food and then it automatically changes down to 150 degrees to keep it warm until you get home it is amazing and it works wonderfully I use it all the time. 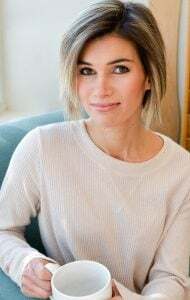 Year around insanity is a huge part of motherhood I agree lol The crock pot comes back in my life the day the bbq goes in the garage for the summer. This recipe looks great. I did something similar for my son’s birthday party last year:?with little slider buns for bread eaters and without for gfree people… It was a big hit! I think this would be great on buns! Yummy! I feel like every year, people start posting slow cooker recipes, and I am like… I have way too much time to cook to use it! Because as a trainer, this is a bit of a lighter season for me, and with all the parties and such. But I am determined to use my slow cooker for once this year! 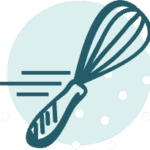 Once you use it once you’ll probably want to again – it just makes things easy with the right recipe! OH WOW. We have so many potatoes; this sounds like a really really good idea. And I totally know what you mean about holidays sometimes being exhausting. The last few years the holidays here have been really low key, and it’s been so nice. I love low key! In a way Jan is such a relief. November is actually pretty slow for us, but that might be because we don’t have Thanksgiving to prep for. Things get a little busier in November with Christmas, but I’m hoping to avoid the mad rush this year by starting to take care of some things on the to-do list early. Key word: hoping. What a delicious dinner! Love how easy this is too! I need at least some “easy” in my life, lol! Especially on our crazy weekdays. It’s a large component of the flavor of the sauce, adding saltiness and flavor so I’m really not sure how it would turn out without it. You could perhaps replace with some sort of broth if you have? Let me know how it goes. 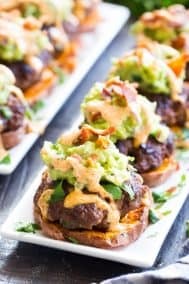 I just shared a new post on my site titled 5 Paleo Recipes for Your Next Family Cookout. My BBQ Sauce is very similar but doesn’t have the coconut aminos. Wondering if I should start adding it in. It’s kinda pricey though. is it really worth it? What kind of flavor does it add? I love adding coconut aminos to sauces and generally it’s a replacement for soy sauce, so that’s the sort of flavor it has. It last a long time and I think it’s worth it! This is absolutely DELICIOUS!!! I followed the recipe exactly (no chipotle powder). It was extra easy and it turned out so yummy! Even my non-paleo, super picky husband really liked it and ate a lot. This is going in to the regular dinner rotation. Thank YOU! Awesome! I’m so thrilled you guys liked it! Can you use honey instead of maple syrup? Thanks! Did you cook this on high or low? Sounds like it wasn’t cooked long enough perhaps? Hard to say. About how many chicken breasts did you use? Thanks! Can I use yellow mustard instead? Would that make a huge difference? Tastes great! 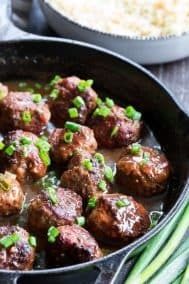 Do we know the nutritional info for this recipe? I’m tracking calorie intake. 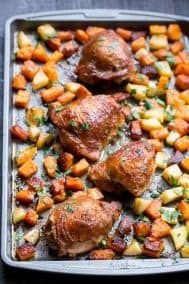 This might be a dumb question but could i use bone-in chicken thighs for this? Very easy to make, which is what I wanted, and Tasty! I made some paleo naan wraps, added shredded carrot & avocado. Definitely on the remake list. I made this today with some changes. I used broth instead of water, at least tripled the spices, and I added some liquid smoke and a yellow onion. Came out great. I love tons of flavor and heat in my bbq so I wanted to punch it up a bit. I also put it over a sweet potato which was a delicious Smokey sweet combo. 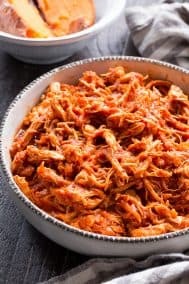 Probably the best crockpot BBQ chicken I’ve ever made! !